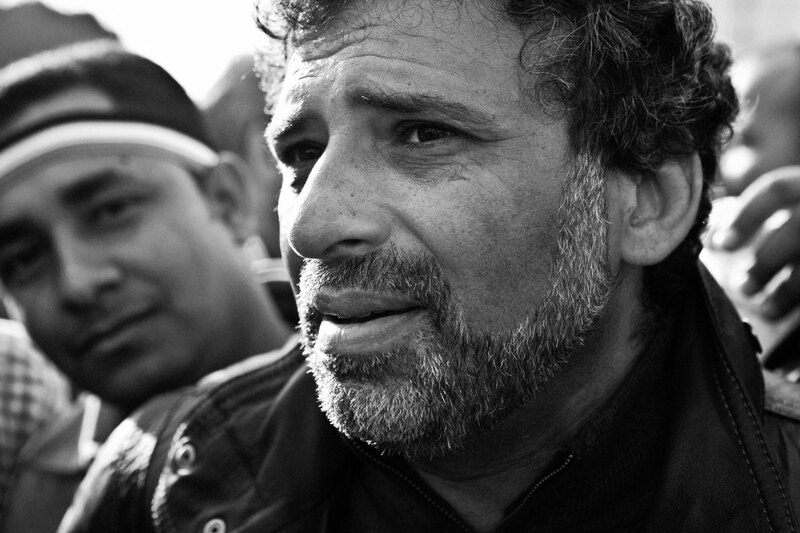 Khaled Youssef is an Egyptian director and scriptwriter. His credits include, Al Assefa (The Storm), Ouija, Al Rayes Omar Harb (Chief Omar Harb), Heena Maysara (Till It Gets Better) and Dokkan Shehata (Shehata’s Shop). This revolution embodied the will of the Egyptian people to bring this oppressive and corrupt regime down and fight for a brighter, different future. Even the government that supported this regime for 30 years had no other choice but to give in and support the revolution. And when the United States, the world’s largest superpower, realised this regime had become nothing but a burden and the Egyptian people had finally broken free, it too gave up on the regime, and supported the revolution. January 25th was the most significant day in the history of Egypt. No one could have stopped it from happening. When the riot police tried to stop the movement, sadly the youth had to pay for it and Egypt had to pay for it through the resulting chaos and destruction that took place. And the Egyptian media committed a horrendous crime as tragic as the killings that took place. For over 10 days, they broadcasted a series of lies that ended up turning the Egyptian people on each other. The Egyptian media also accused the most noble and pure Egyptian youth with treason and tried to plant fear in the hearts of anyone who wanted to protest against the regime. Those responsible for what happened in the media must be held accountable for the damage they caused just like those who willingly killed innocent protestors in the revolution. I don’t see a specific person suitable to lead this country yet; we are still on our way to the election boxes. But now that the revolution has succeeded and we finally have the power, this great nation’s strong will and pure hearts will lead them to the right leader.